On one spectacular morning near Monterey, CA each year, the world’s finest examples of significant vintage automobiles roll out onto the Pebble Beach Concours show field, held on the 18th fairway at Pebble Beach. August 21 will one of those great days to be at Pebble Beach. With beautiful Monterey Bay in the background, the worlds finest motorcars are displayed and judged, but make no mistake, there are no losers out here – it is one of the classic car world’s highest honors to even be invited to Pebble, and for those fortunate few who have won the coveted Best in Show Award, it is certainly the pinnacle of their collector car achievements. 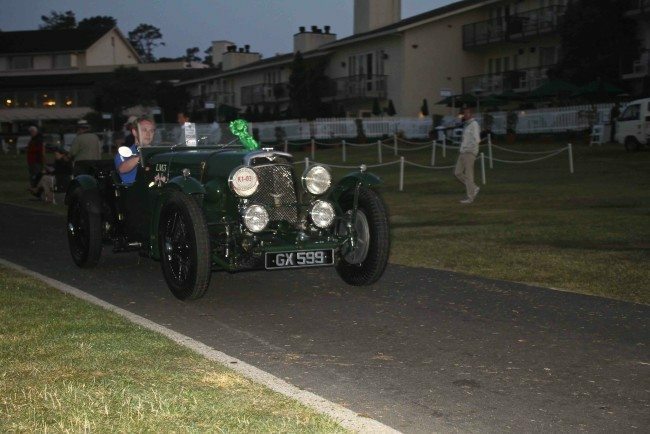 It’s hard to say “when” the Monterey week begins any more, with the Pre-Historics at Laguna Seca actually more than a week ahead of the Concours, but we always like to start at the Carmel by the Sea Concours on Tuesday, a lovely venue with wonderful cars. 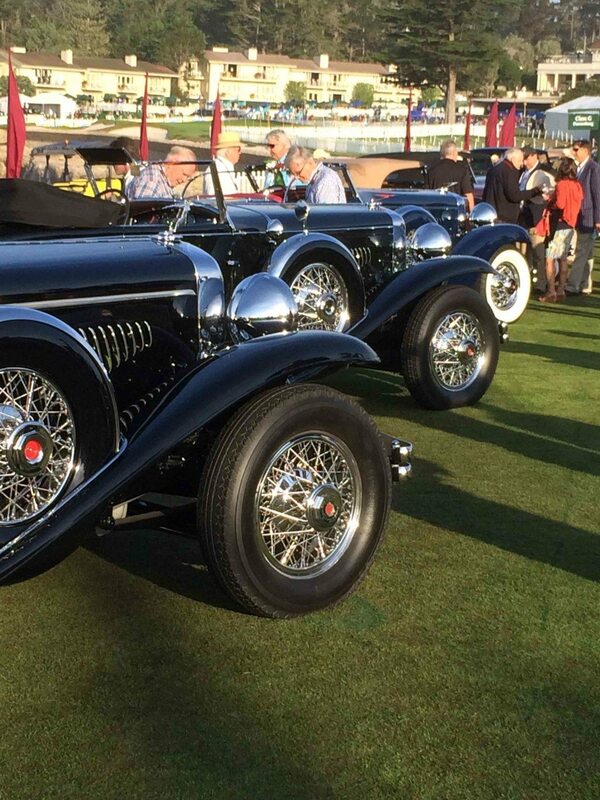 The classic car auction scene heats up on Wednesday, and is in full swing by Thursday, with Mecum, RM, Bonhams, Gooding, Russo and Steele, and Rick Cole all selling cars at some of their largest sales of the year. The “official” week begins with the Pebble Beach Tour, where the line up to begin early on Thursday is there world’s most exclusive parking lot. 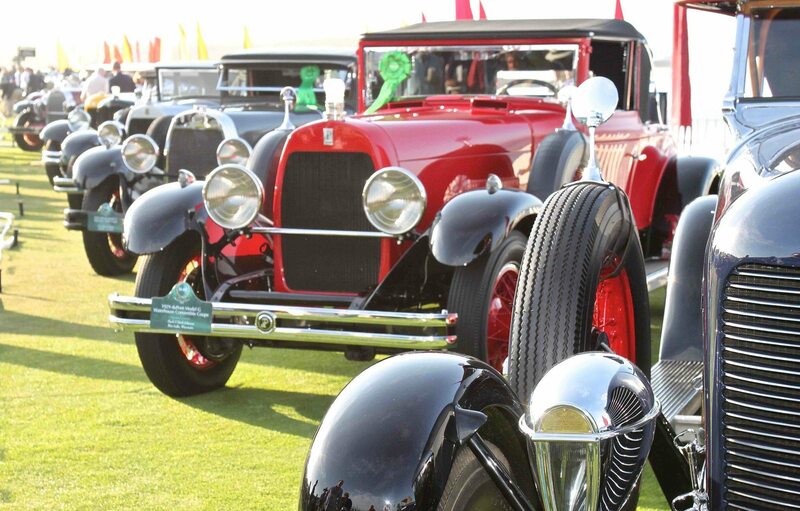 The RetroAuto and AFAS tents are not to be missed either, and the week isn’t complete without walking the pits at the Monterey Historics. 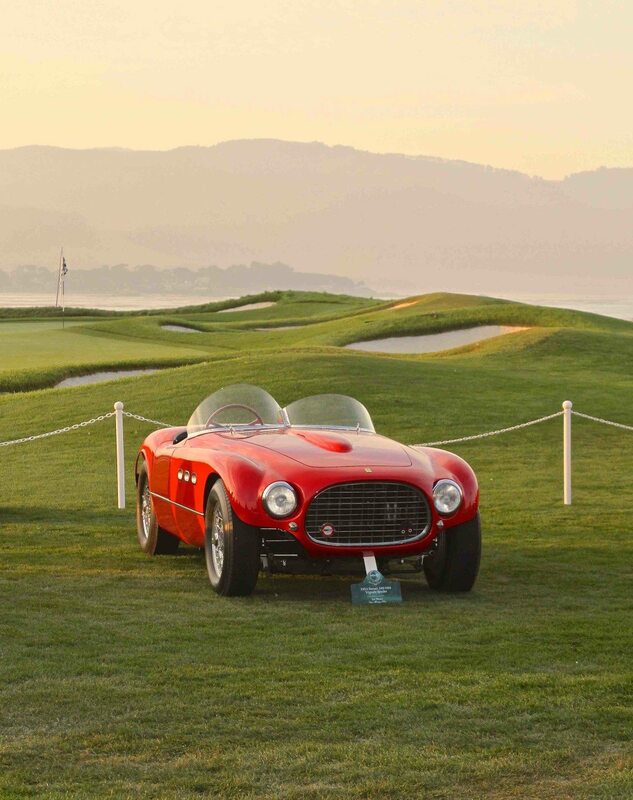 But the big event is most definitely the Pebble Beach Concours, and we look forward to our 20th year of attending one of our favorite events of the year. Visit www.pebblebeachconcours.net for details.